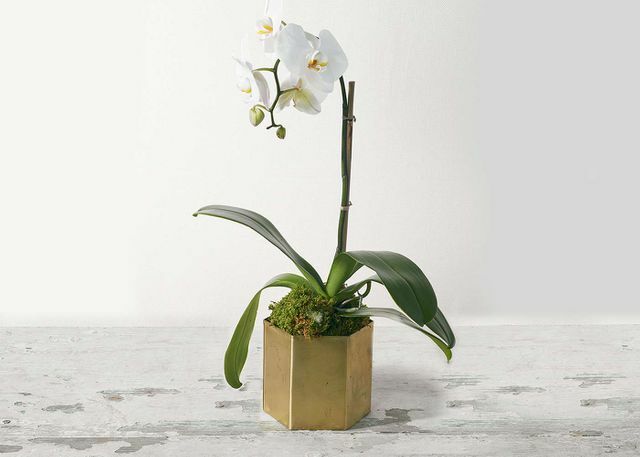 Potted in a shimmering hexagonal gold patina vessel, this graceful phalaenopsis orchid adds a new dimension of elegance to any home or office. 14"-18” inch phalaenopsis orchid in 5" x 5" gold pot. Total height: 20"